A true Christian is the best citizen, because he has an inner spiritual motivation to do good and avoid evil. A more constructive citizen can hardly be found. Such an opinion was expressed by the Father and Head of the Ukrainian Greek Catholic Church His Beatitude Sviatoslav in an interview with Ukrayinska Pravda. "Today we live in the period of post-truth. It is therefore difficult to understand whether a candidate is actually telling the truth. A Christian has certain criteria for distinguishing. Obviously, educating mature citizens, who themselves could orient in public discourse, is the first task of the Church. And Greek Catholics are active citizens. At this level, the Church will always be active," said the Primate. The Bishop also noted that the UGCC always tries to be a Church that does not interfere in politics, and on the other hand does not allow politicians to use itself for their political purposes. "The manifestations of public piety, particularly during the pre-election period, is one way of using people's trust in the Church. 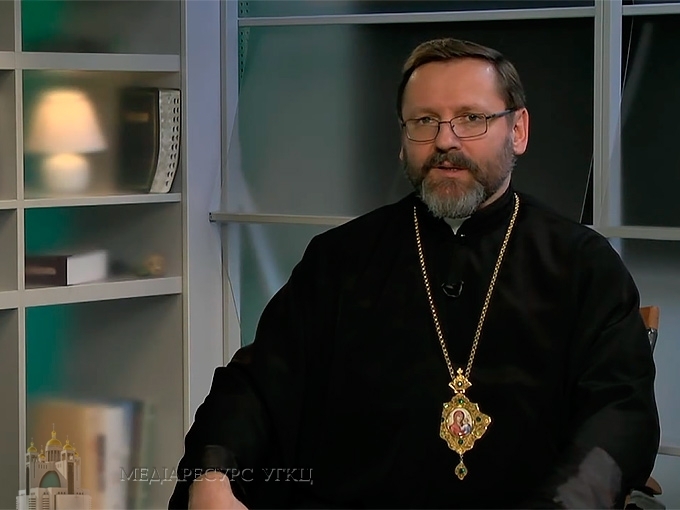 We see that today the level of trust in state institutions is very low, but people still trust the Church," explained His Beatitude Sviatoslav. "The Church, which attempts, in this way, to achieve its lobbying goal through cooperation with this type of political conjuncture, will always lose. For such politicians, like anchors, will draw to the bottom the trust of the faithful of that Church to her holy rule, to the mission that the Church must perform in society as a moral benchmark. If politicians put out moral light in Ukraine, then there will be a very dangerous darkness. I think that all Churches should understand it," stressed the Head of the Church. In addition, the Primate emphasized the philosophical level of certain values and principles of social construction. "And here the Church," believes the spiritual leader of Ukrainians, "has a special task - to be actively present in the public discourse as to which principles, values ​​we need to build our state on. Because we see that often our politicians build their election slogans, even coalition agreements, not on the charter of values, but on price lists. And this, in my opinion, is unreasonable on the one hand, and on the other hand it is harmful and dangerous." "Although the Greek Catholic Church was never state-owned, was never a part of a state machine, today it can be called a state-building church. That is, it tries to add all its experience to the construction of non-fake institutions, but a genuine, lasting, state ideological matrix with a Christian, developed democracy," added the Head of the UGCC.